Head up Veil Stream. 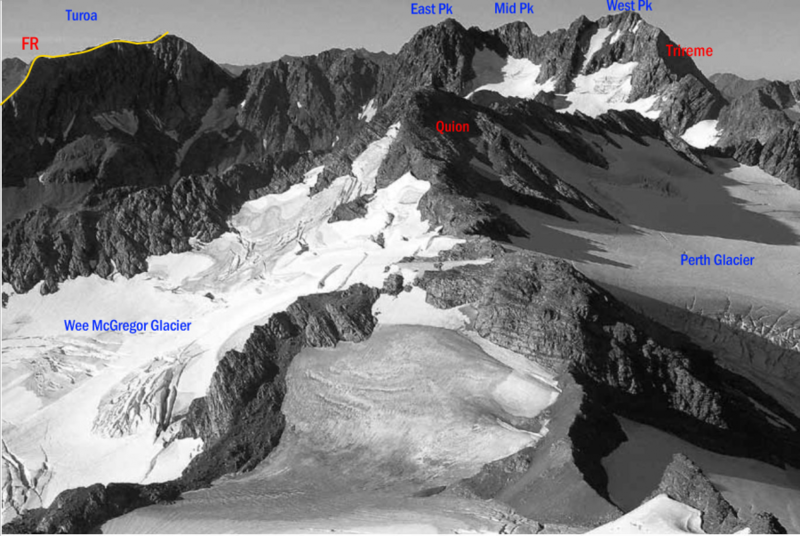 Climb the ridge between Rollover and Clover Glaciers, then follow Rollover Glacier and make a steep ridge scramble to the summit. Follow Tauroa Creek for about 1 km then climb a scree slope that leads to the long north-east ridge of Tauroa. From here options exist via the south-east ridge, east face and north-east ridge.